57-foot Colorado blue spruce comes from South Holland, Ill. 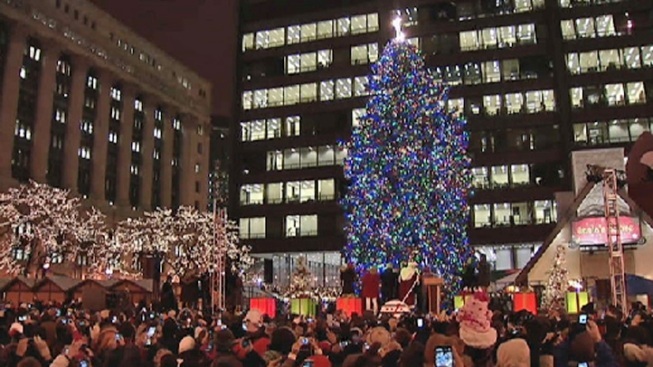 The city celebrates its 100th Christmas tree lighting ceremony on Tuesday evening. 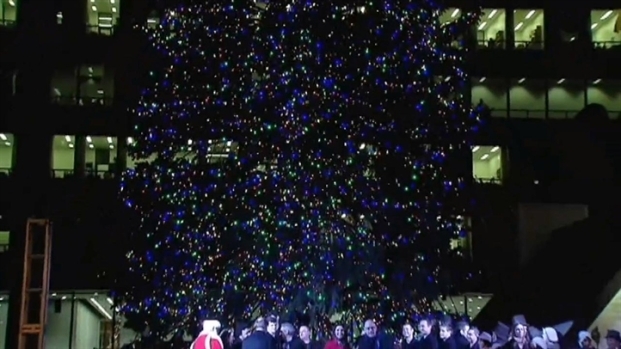 The tree was lit by NBC's Lester and Stefan Holt, and was preceded by several live performances in Daley Plaza. A fireworks display capped off the evening. The annual tradition started when the first municipal Christmas tree was lit on Dec. 24, 1913, in Grant Park, according to the Department of Cultural Affairs and Special Events. "Each year Chicagoans gather for the annual tree lighting ceremony, just as they did 100 years ago," Mayor Rahm Emanuel said. "Gathering with family and friends during the holidays is a timeless tradition. I hope you will join me on Daley Plaza for this very special celebration." The 64-foot Colorado spruce from Prospect Heights was one of 25 submitted to the city for consideration. The Chicago-area family who donated the tree appeared on stage with Emanuel. The winning tree -- a 57-foot Colorado blue spruce from South Holland -- has been adorned with about 29,000 lights and 300 decorations.